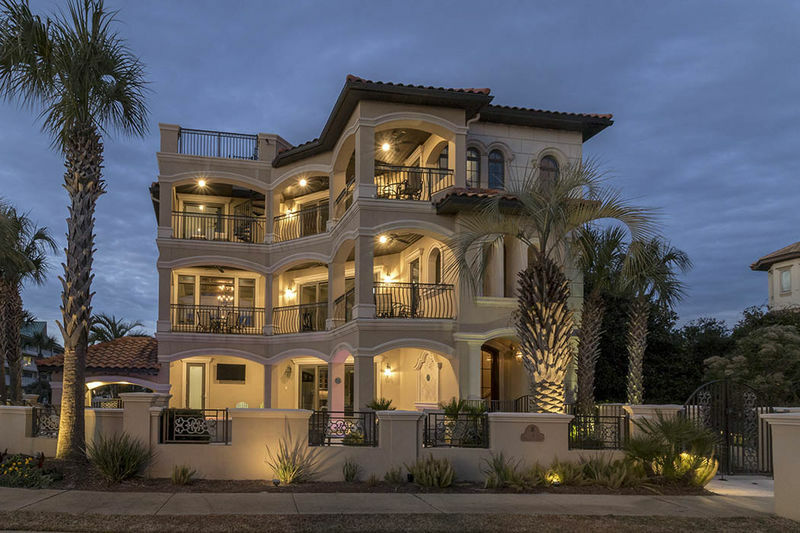 Villa Capri is an exquisite seven bedroom beach home with a private pool in the desirable community of Avalon Beach Estates. 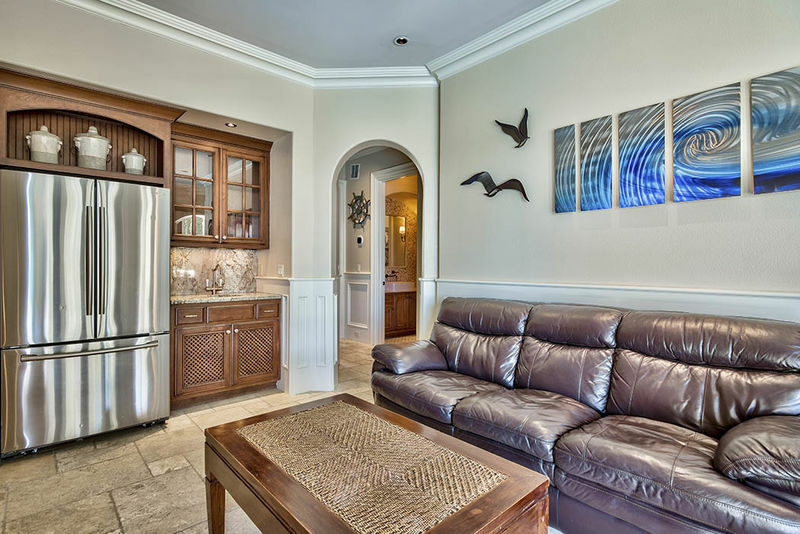 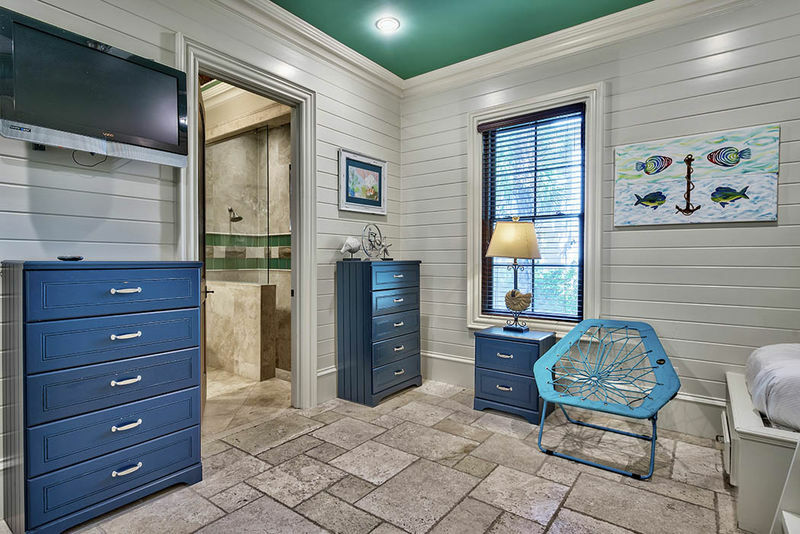 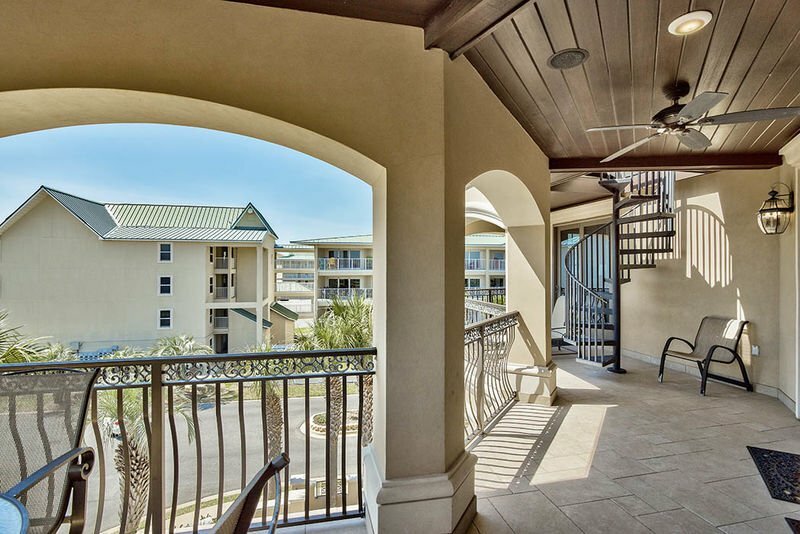 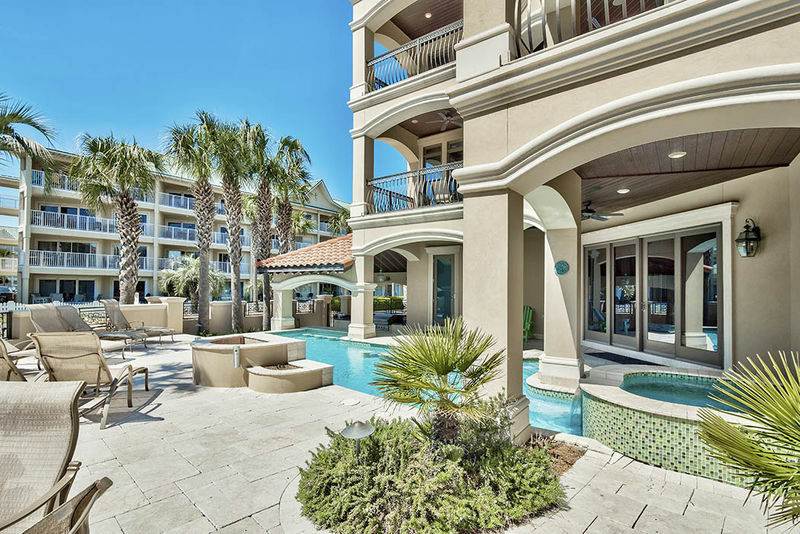 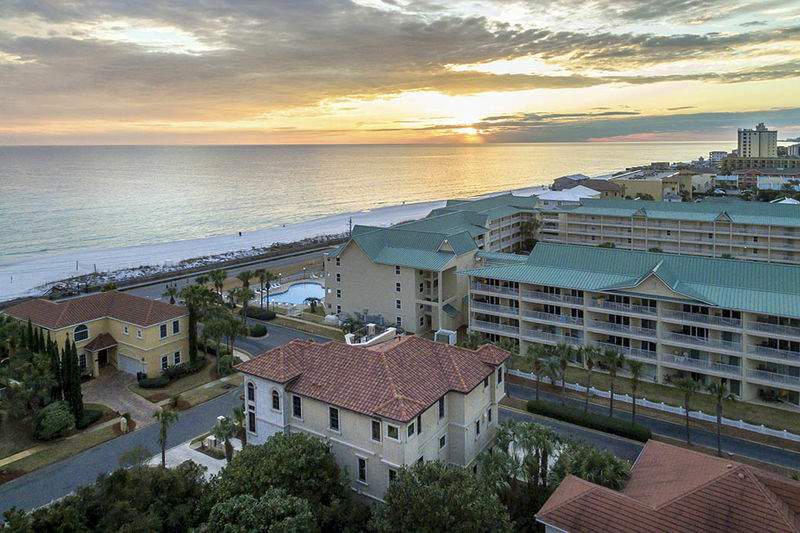 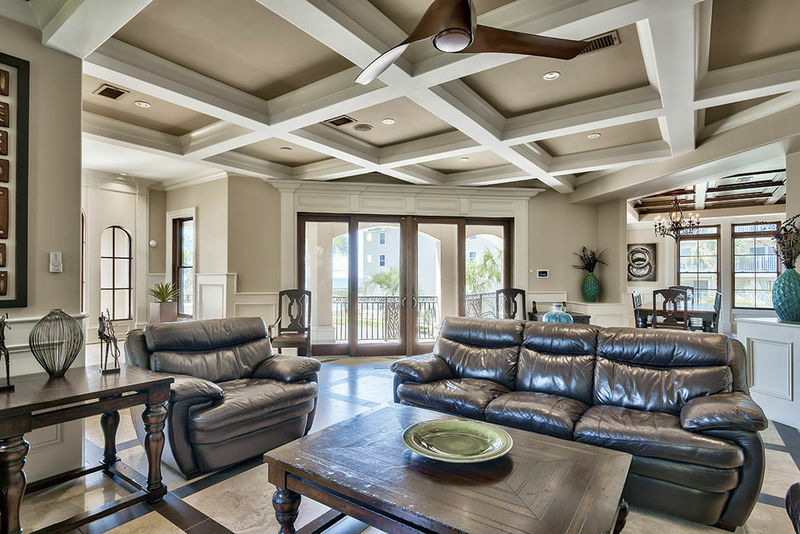 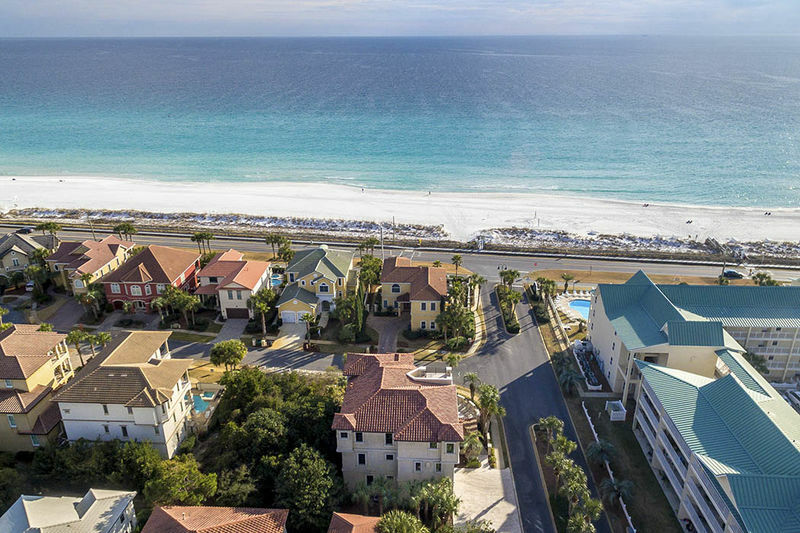 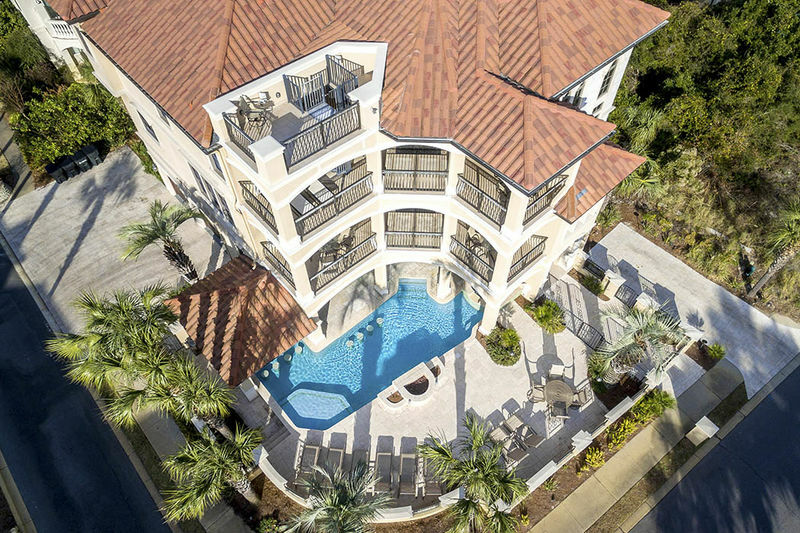 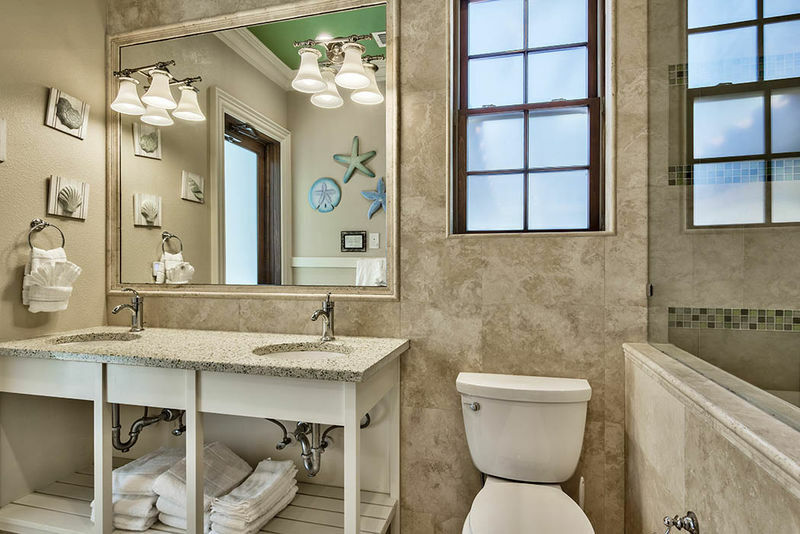 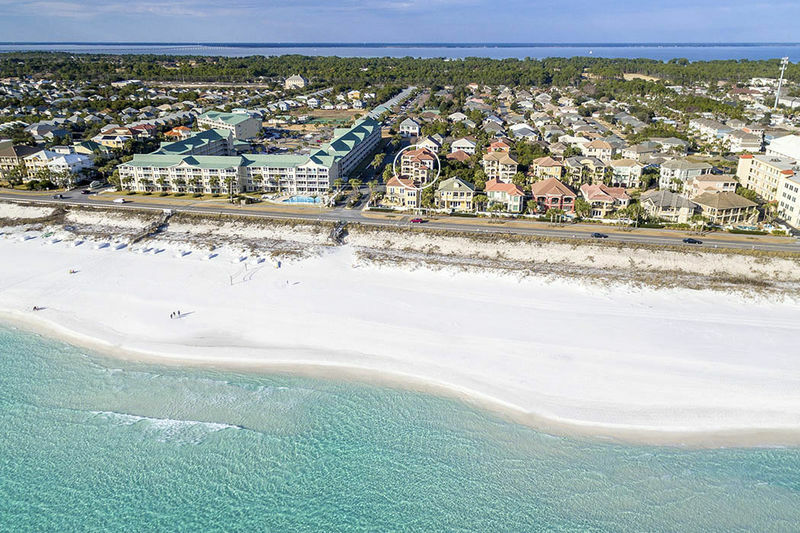 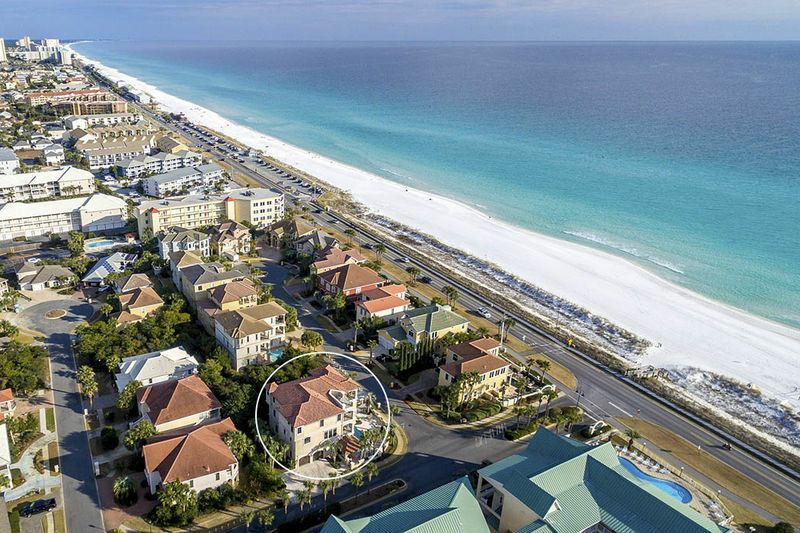 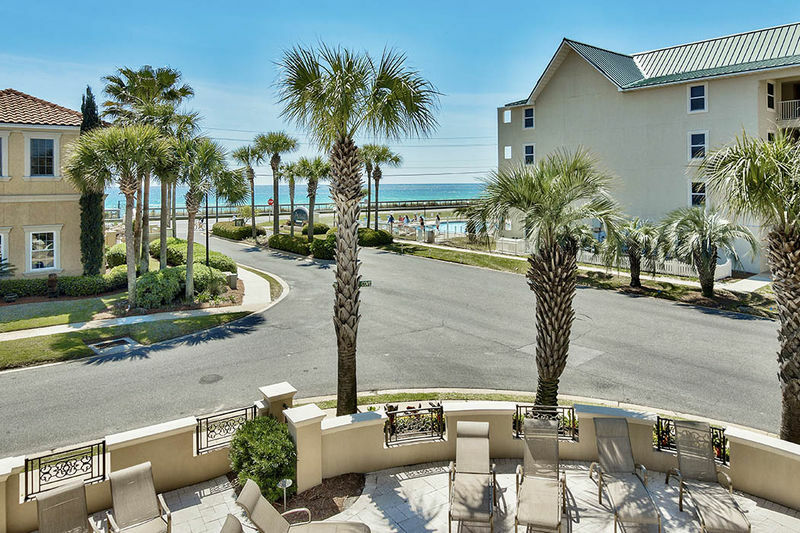 Located directly across the street from the emerald green waters and sugar white sands of the Gulf Coast, this little community is home to some of the largest and most luxurious vacation homes in Miramar Beach. 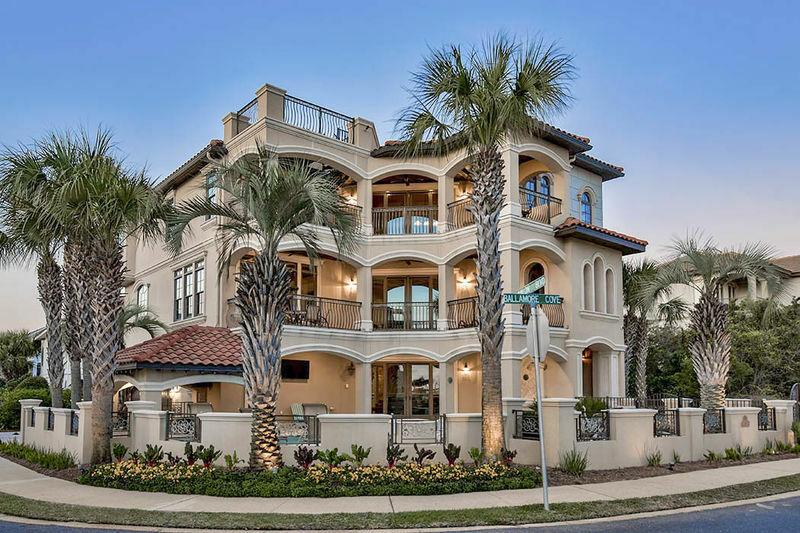 Villa Capri stands out amongst the others, sitting on a large corner lot. 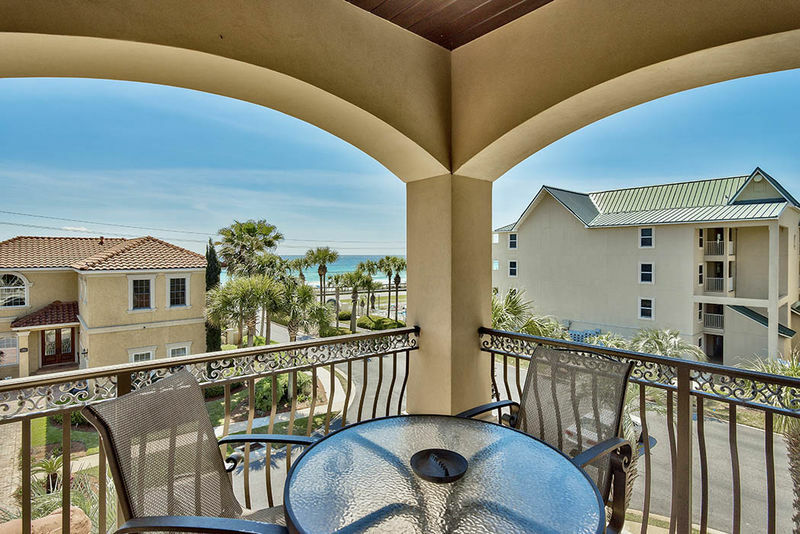 Its position affords stunning gulf views and a feeling an exclusivity. 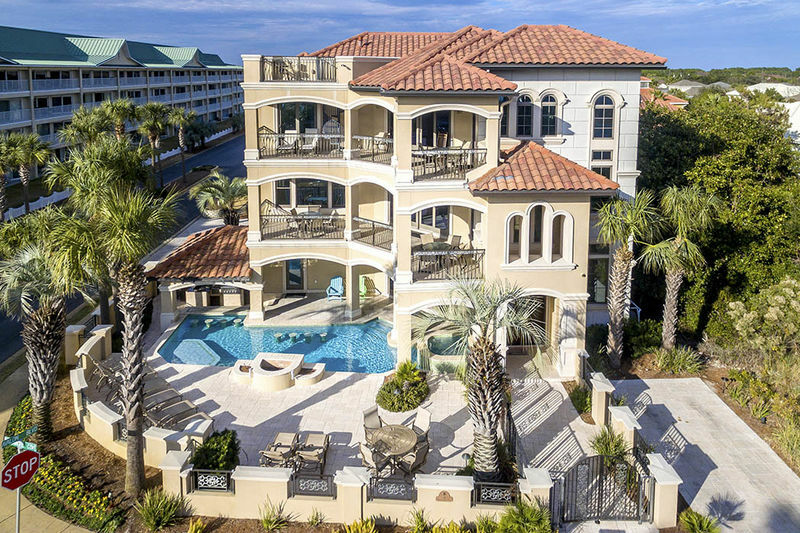 But that is just the beginning of everything this residence has to offer. 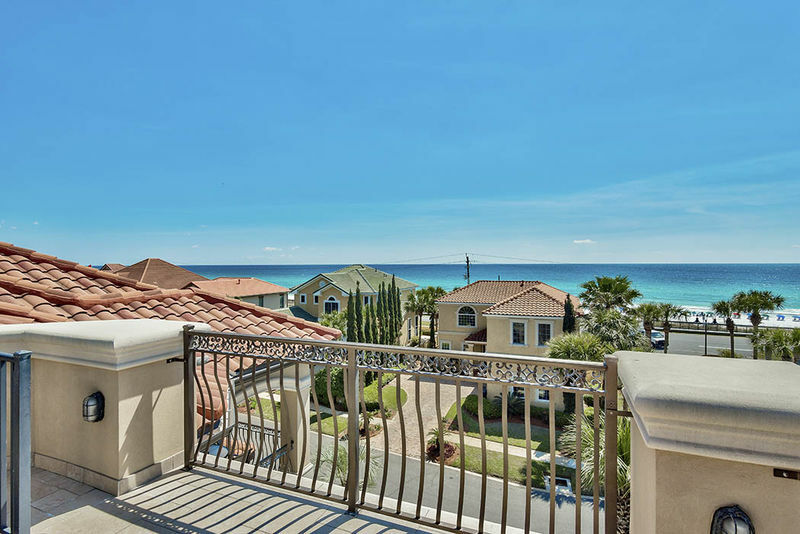 From the view to the finishing touches, Villa Capri is a meticulously maintained home perfect for any occasion. 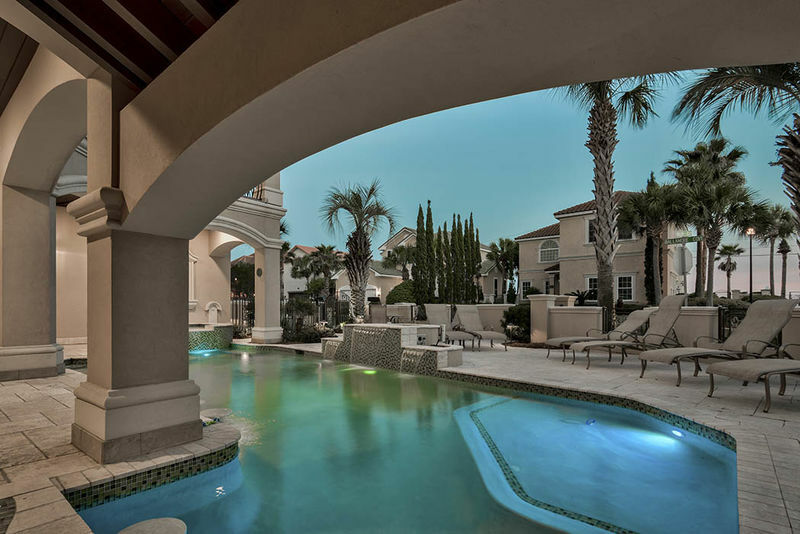 Classically elegant with a touch of Spanish flair, Villa Capri makes a splash with its incredible use of space. 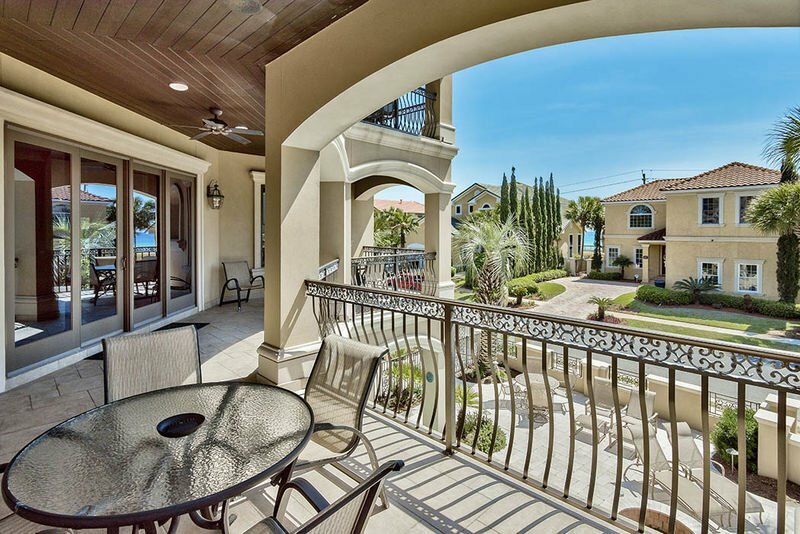 The “front yard” rivals that of any other with two spacious driveways and pool that comes complete with a swim-up bar, sunken and covered grill area, and hot tub. 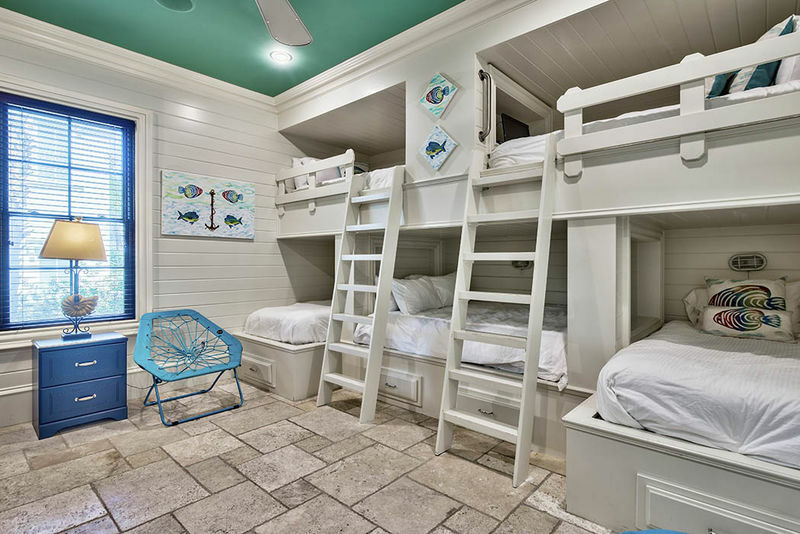 The pool area is overlooked by a first-floor lounge area, a king bedroom, bunk room with two twin-over-twin bunk beds, a bunk room with two twin beds and three full beds, and a laundry room. 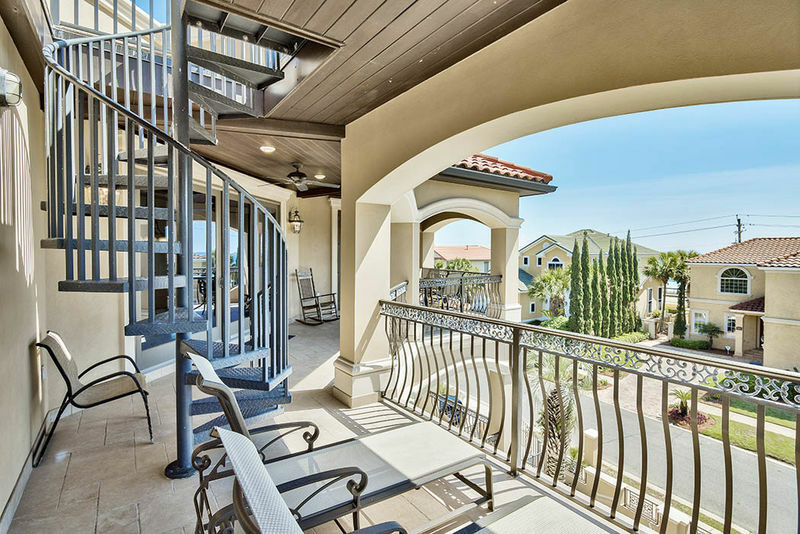 Things only get better as you head upstairs. 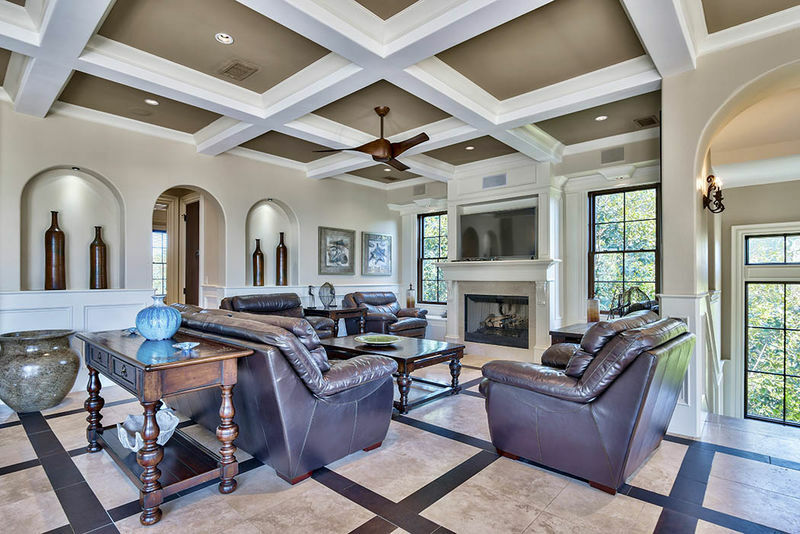 Designed for entertaining, enjoy quality time with your loved ones in the expansive living room where brown leather sofas and chairs sit centered around a flat-screen TV and fireplace. 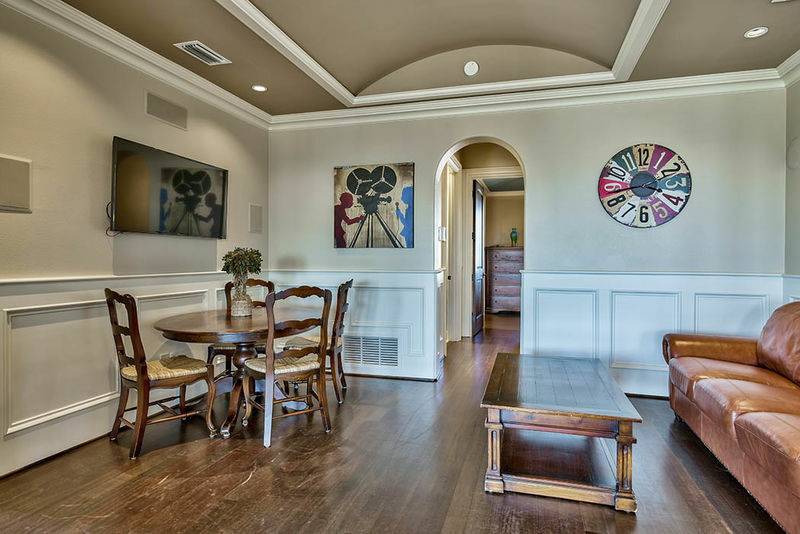 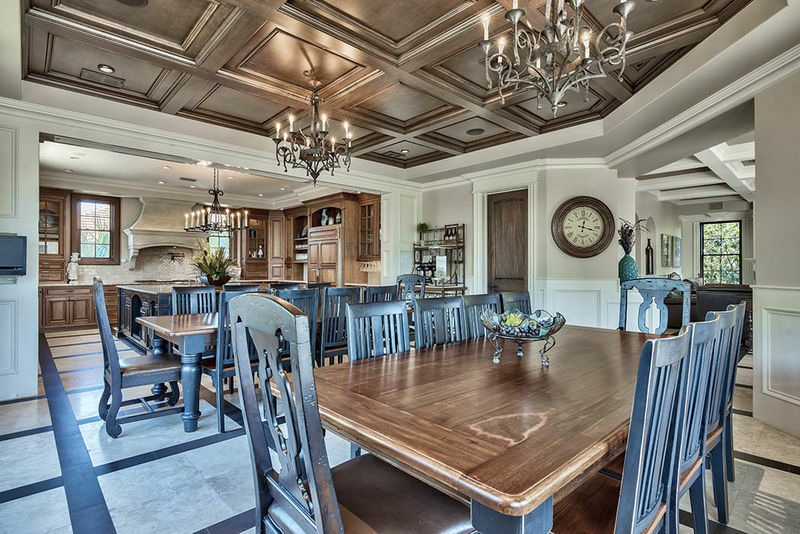 The nearby dining room is furnished with two large dining room tables, each seating 10. 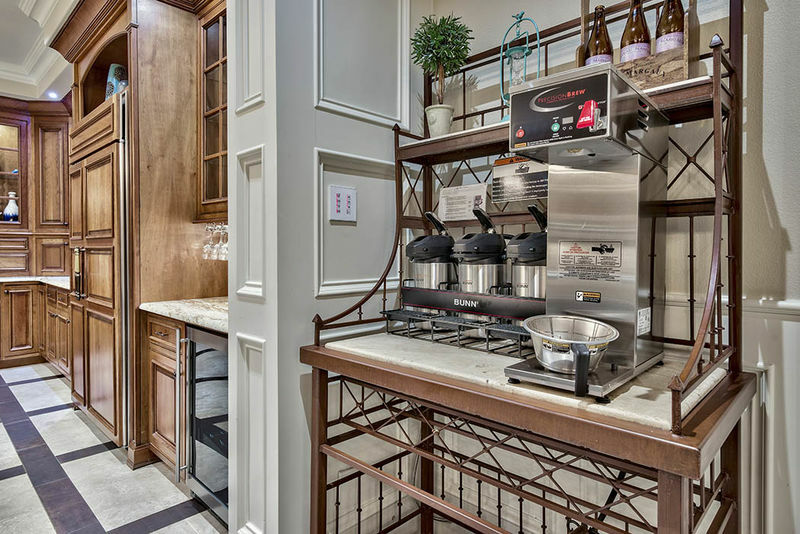 Stop at the coffee bar and grab your morning cup of joe from the commercial Grindmaster coffee maker. 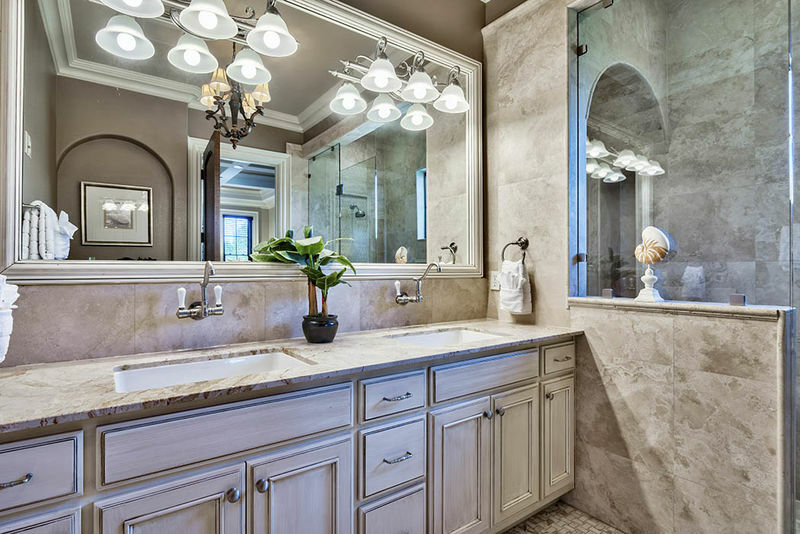 Multiple air pots are also provided for large groups which help make every person a morning person. 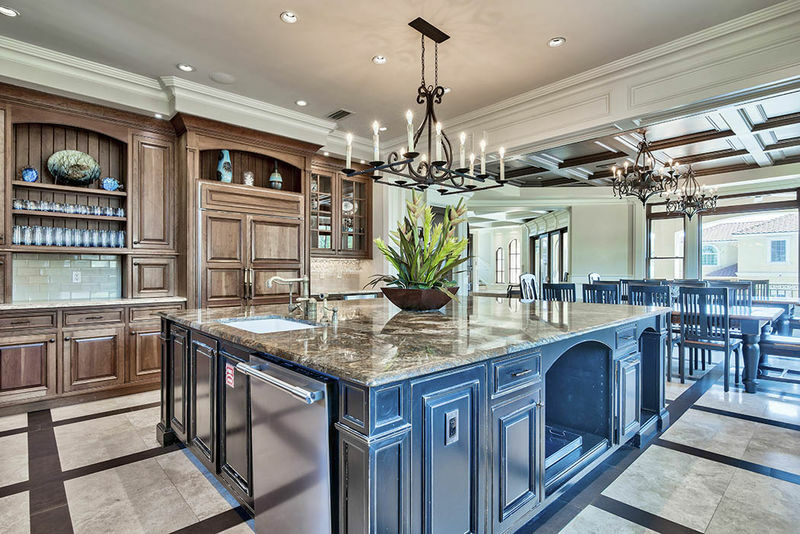 Anyone and everyone will love cooking in the large, sumptuous kitchen that comes completely stocked with all the essentials. 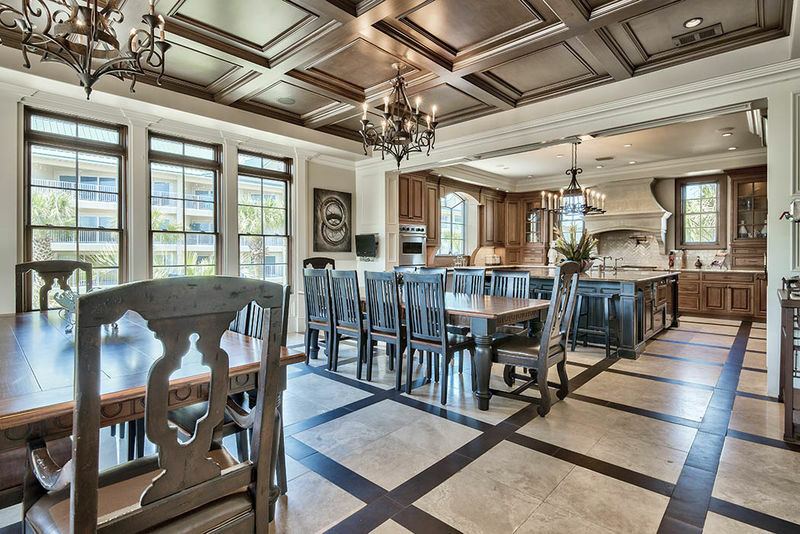 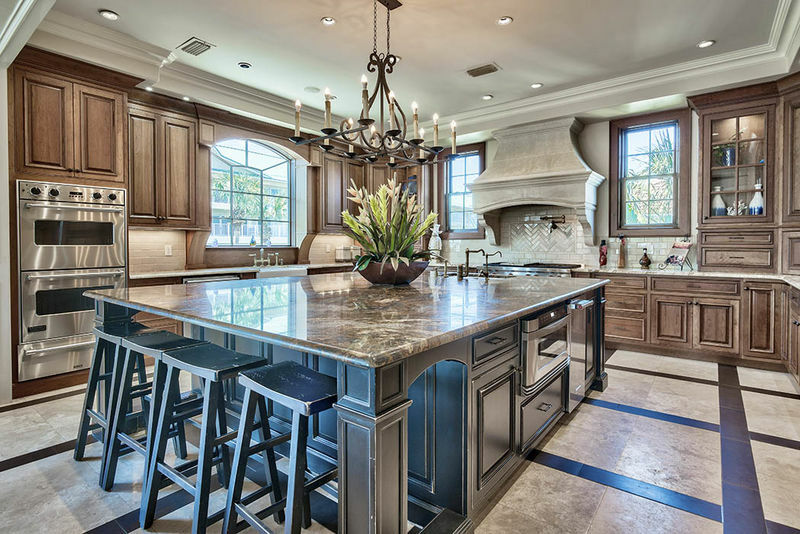 The kitchen island provides ample space and plenty of storage. 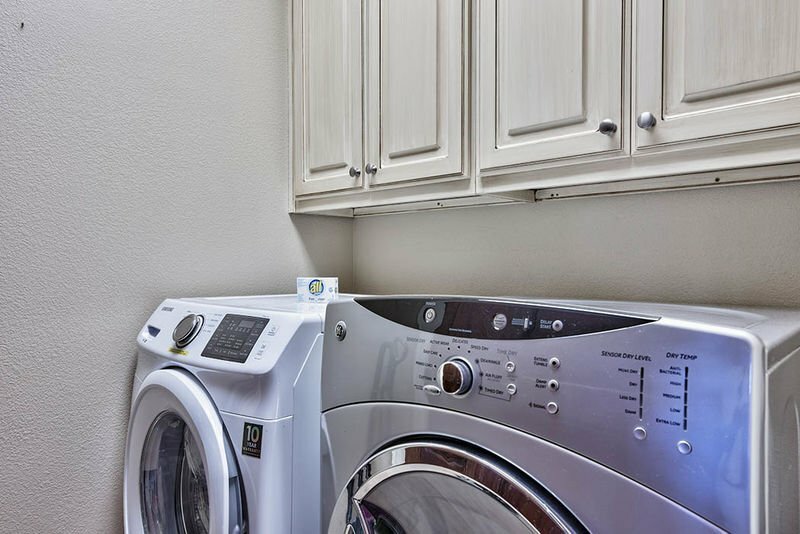 Top-of-the-line appliances include a French door refrigerator, two Frigidaire Professional dishwashers, a six-range WOLF gas stove, and a dual convection oven. 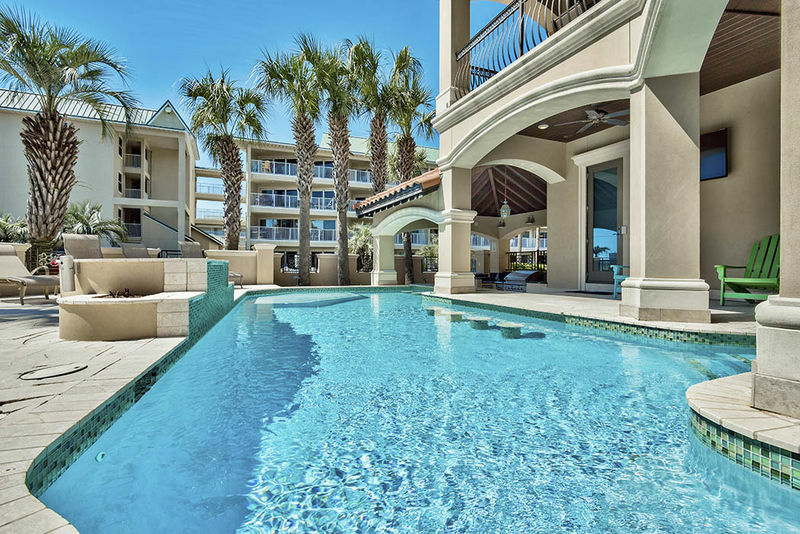 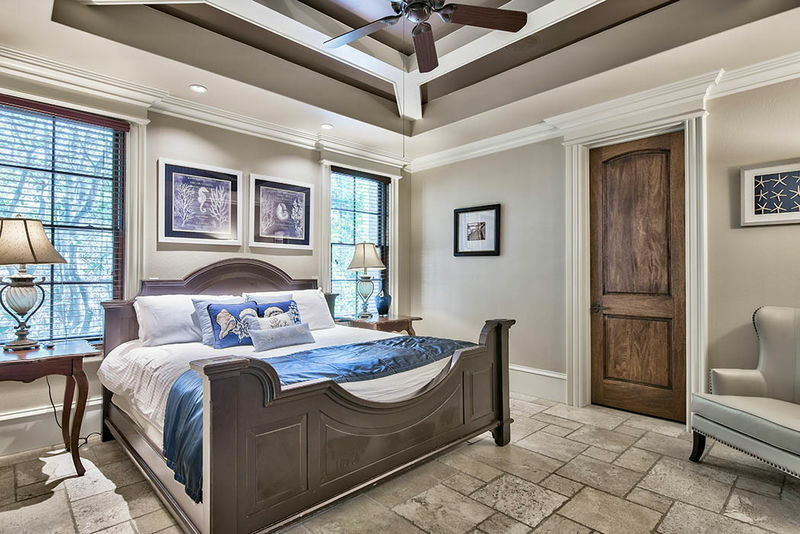 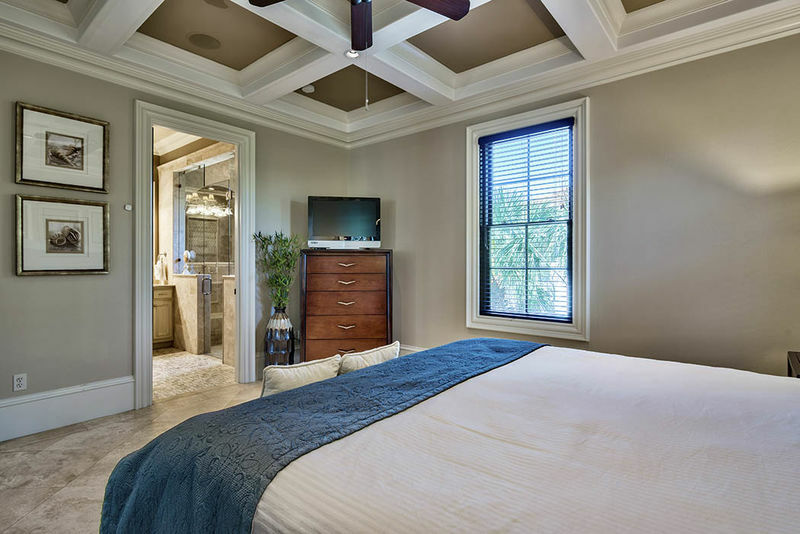 Also located on the second floor, is a king bedroom with a private bathroom featuring a spa shower with jets, and a wrap-around balcony that offers views of the pool and Gulf! 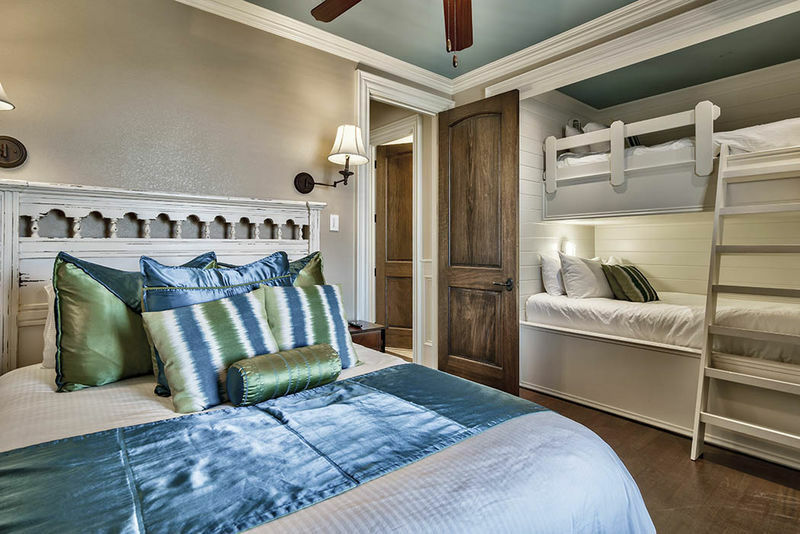 The remaining sleeping accommodations can be found on the third floor in addition to a game room and sitting area. 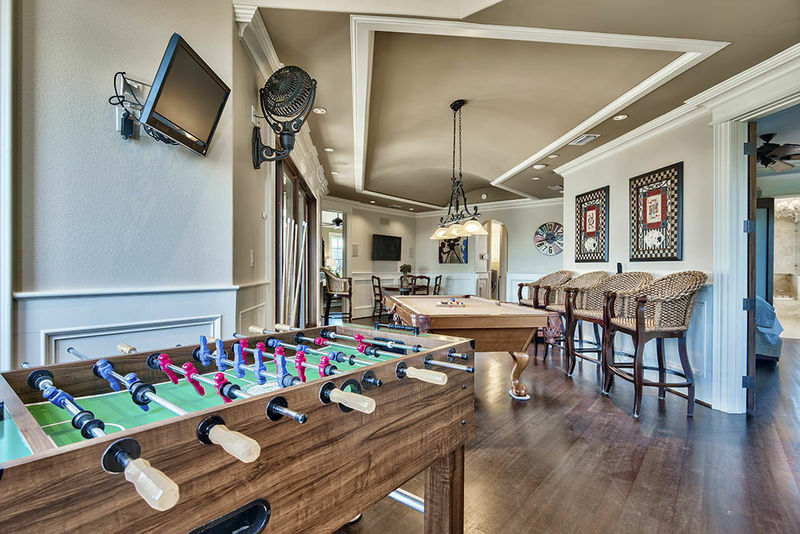 In the game room, guests can play foosball or pool at a Brunswick Contender Series pool table. 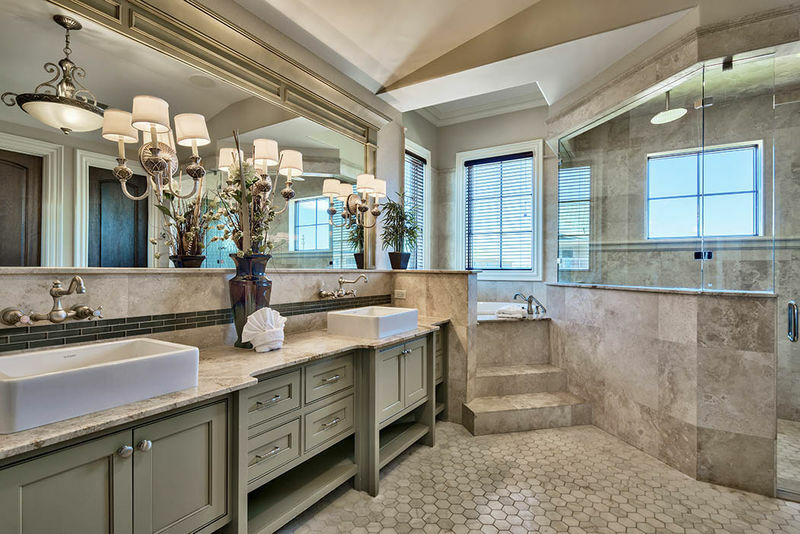 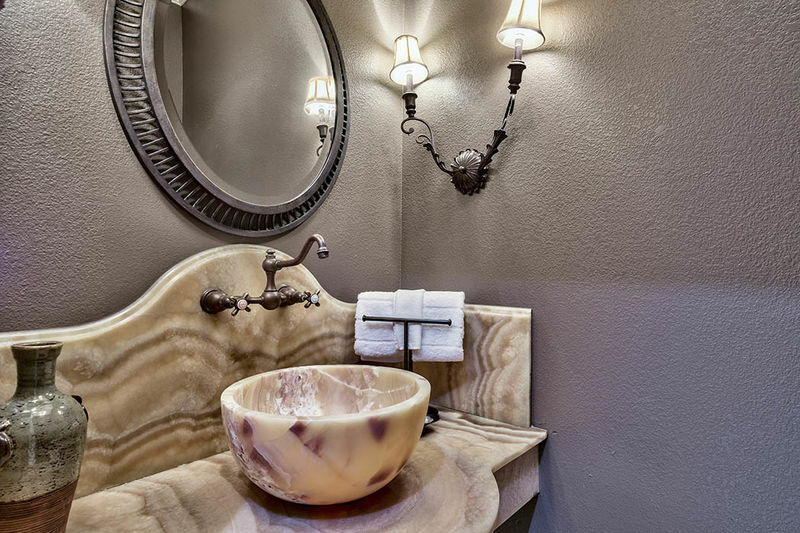 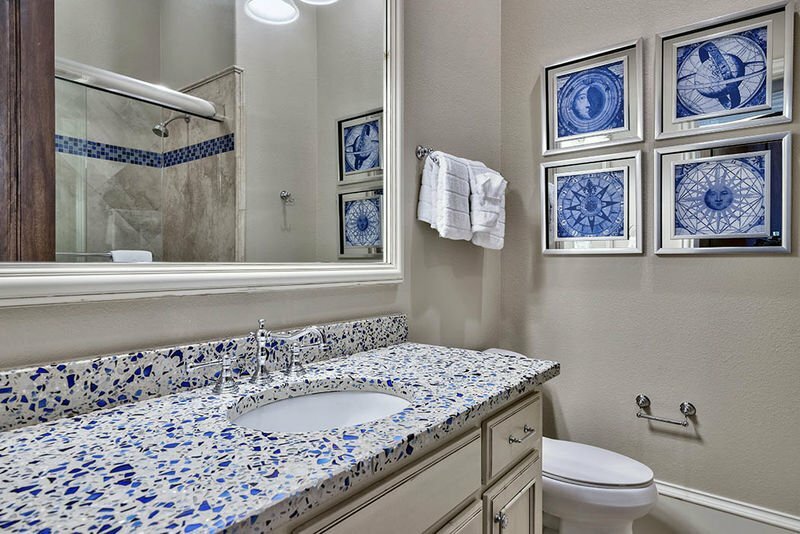 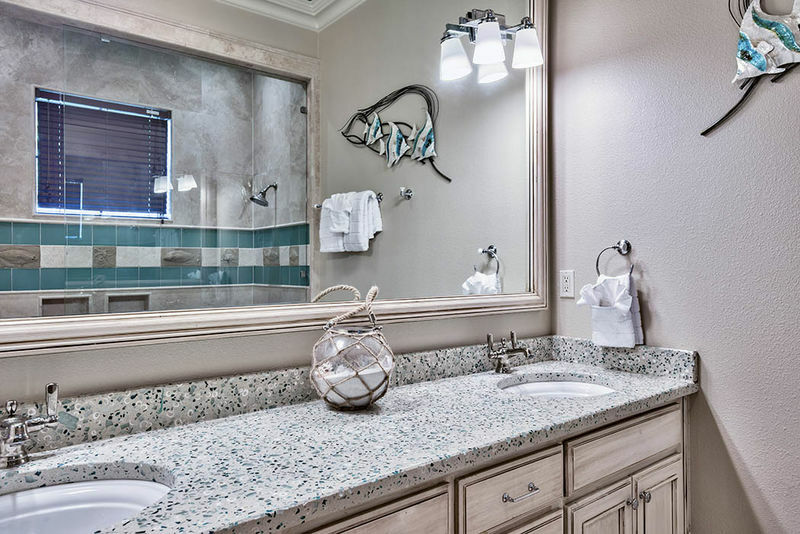 A bar with a wine cooler and sink make it convenient for guests to grab a drink and be competitive! 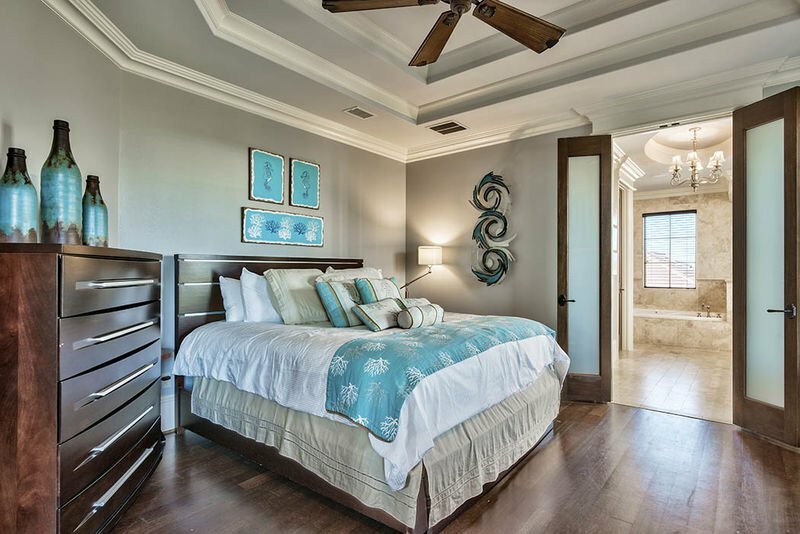 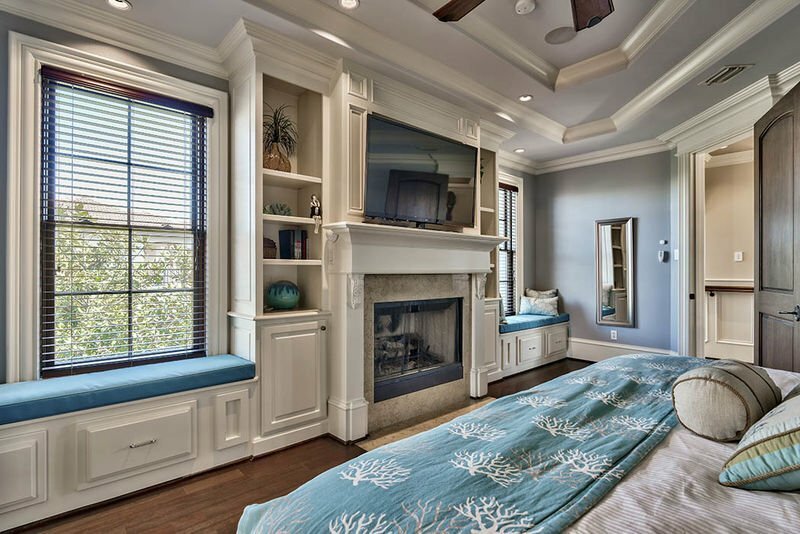 The master bedroom is lush and romantic, with an in-room fireplace and amazing views of the Gulf from the third-floor balcony. 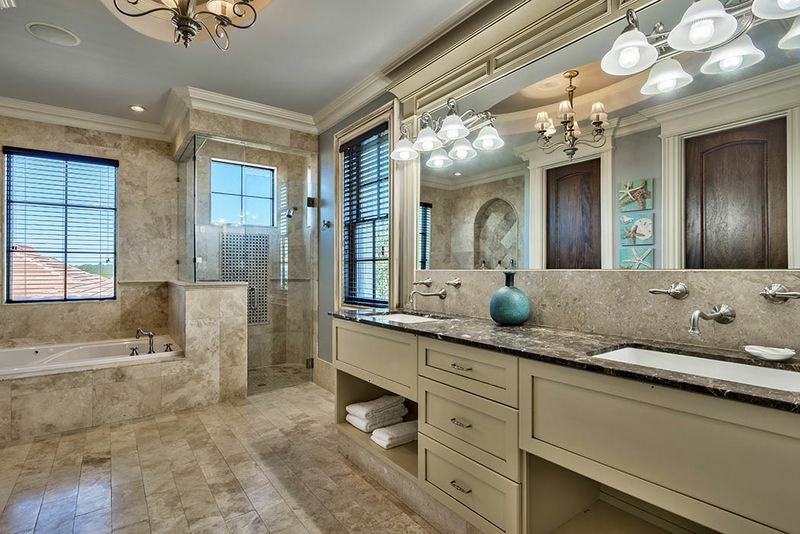 The jetted tub and stand alone shower in the private bath feature spa jets and his and hers vanities complete this stunning room. 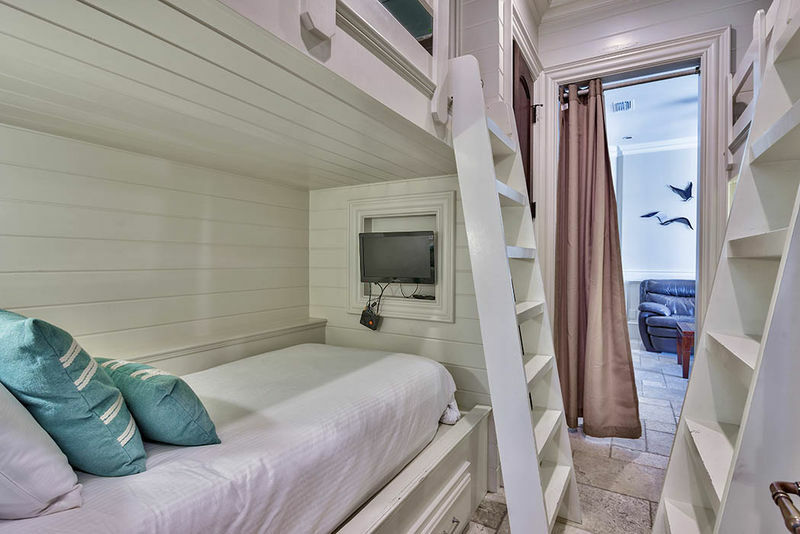 Another king bedroom with a fireplace and private bath and a queen suite with a twin-over-full bunk bed are also located on this floor. 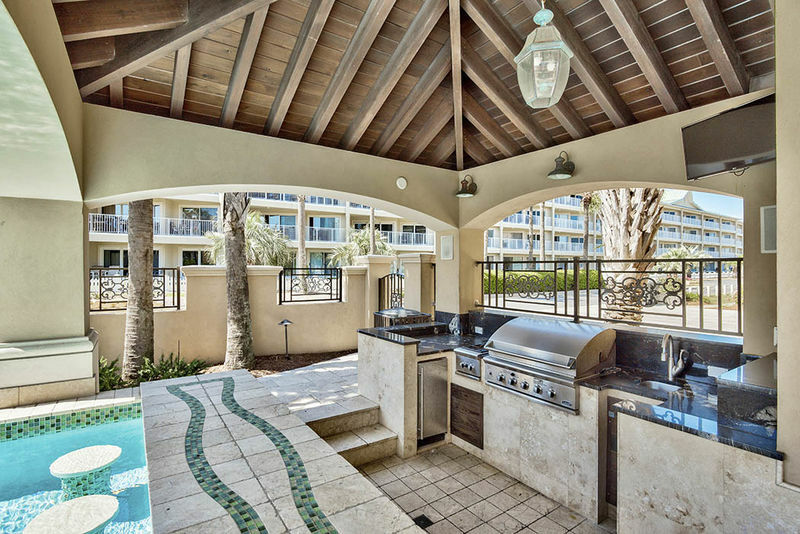 Make way to the rooftop deck where panoramic views of crystal clear waters await. 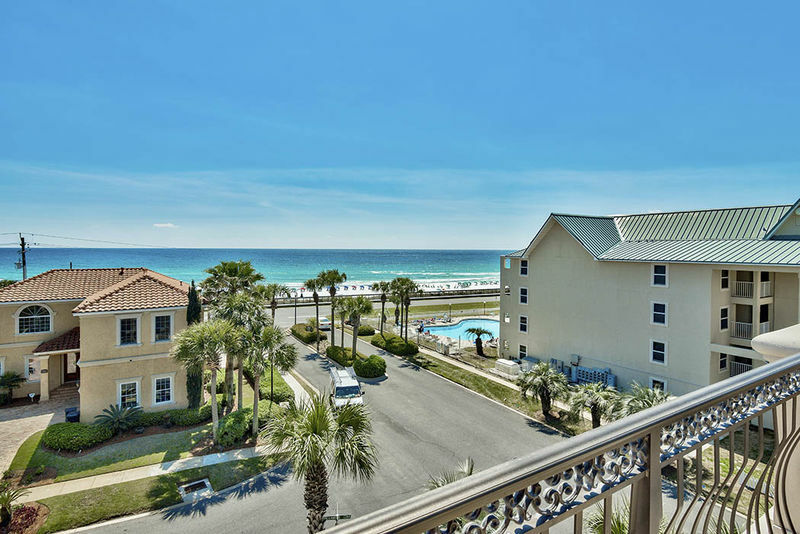 Salty air and the sound of crashing waves soothes and relaxes while worries melt away. 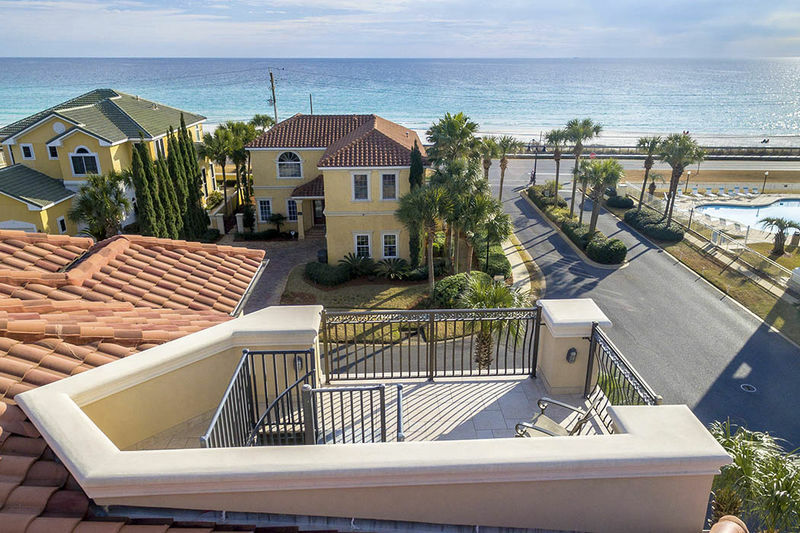 Villa Capri is an exquisite home perfect for your beach getaway! 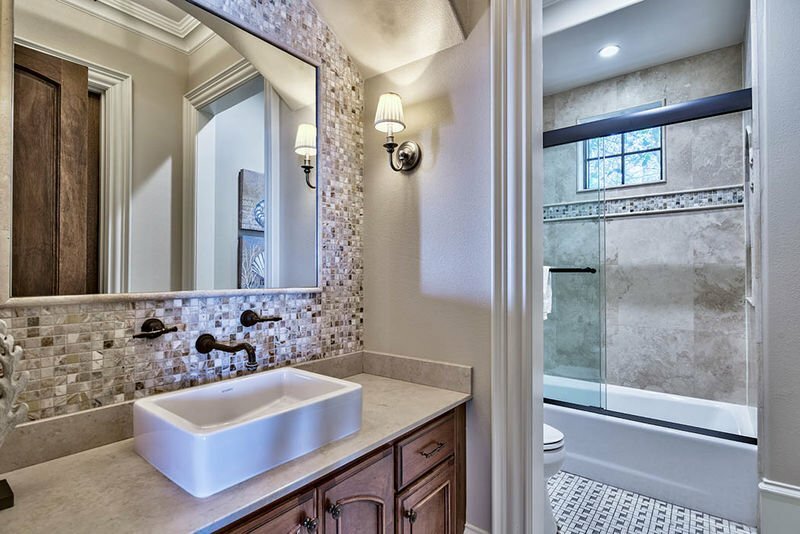 ***Spa tubs do not have jet capabilities like standalone hot tubs. 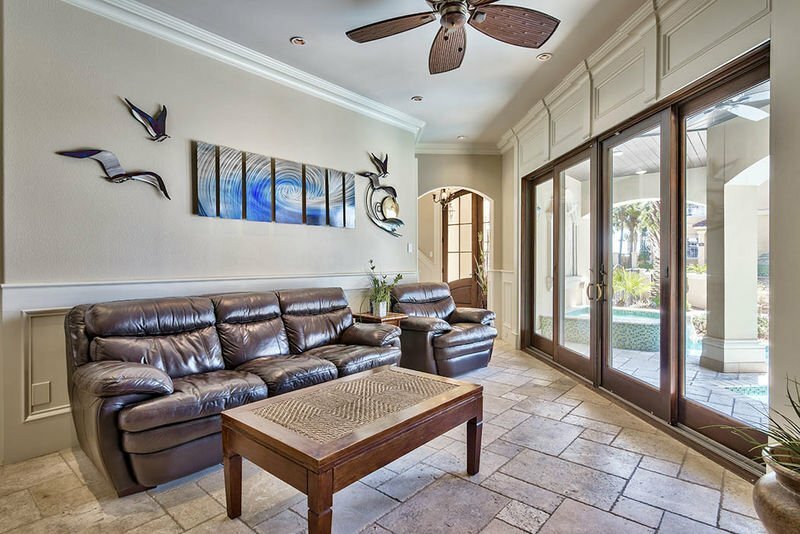 Heat can be applied for an additional fee.